Life is better with friends and we have two offers to help you share the Slide summer love ! First a unique referral code in your app, pass this on to friends and you will earn £15 Slide credit every time it is used. Unlimited - how many friends do you have ? Secondly, did you know that you can take two friends FREE with you on every ride? Travel with your friends for less this summer as up to two friends go FREE with each booking. Just be sure to include the correct number of passengers in your booking to make sure our drivers are aware. We made referring friends to Slide more fruitful for you, as every time you refer and they complete their first ride you get your £15 Slide credit added, this code is endless, so the more you refer the more credit for you. Or bring them along to try for free - Free ride, what's not to Love ? Simply book your ride and increase the number of passengers in the top right of the screen, in WHEN section. You can book more passengers in one booking, but the first additional 2 are free - Mint Innit ! So three friends can travel together for the price of one trip - got to love that ! Although you all need to be travelling together, same pick up and drop off points so no falling out along the way ! It’s all because we value your opinion above everything else, as do your friends and family. Maybe you’ve tried Slide a few times and loved how we made your trip to work more enjoyable, or maybe you’re a regular Slider who’s troublesome commute is now 20 minutes shorter, hassle free and a lot more comfortable. Well, if you love us, we’d love you to share that love with your friends, family and colleagues. Each friend you refer will get a free ride and when they take their first trip we’ll give you £15 in credit...and so on it goes, as many times as you like. A friend of yours is a friend of ours. Why not use Slide for leisure as well as work, you don't have to take your free friends on your regular commute, you could meet up and take a Slide to the cinema, theatre, out for dinner or drinks after work. Let them experience what you are loving about Slide first hand. 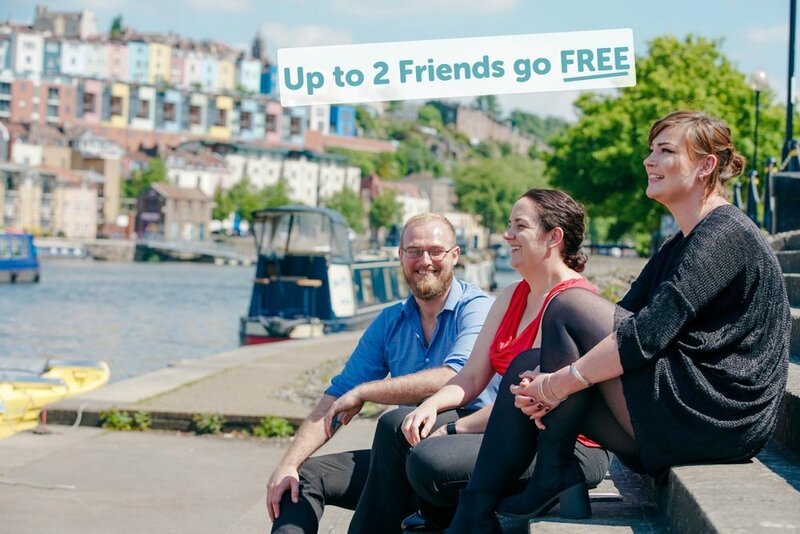 We have just celebrated our 2nd birthday and want to go on providing Bristol with a hassle-free, sustainable transport service well into the future and we’d like you to help us do that. Or ask a friend to join you as a free passenger and it wont cost them a penny, if they want to use Slide more regularly make sure you get the Slide credit by passing on your referral code ! Hey...that’s what friends are for right? Share the Slide love and ride with friends this summer.